C64.SK had originally launched the SID compo which is every year. I thought it was about time that I done another competition. No SEUCK or Crap game competition this time. It is a cool music competition. If all goes really well, I might consider to do another compo of the same thing. Later on this year, but this time with JCH music editor :oD. So why is it a DMC compo, nothing else? Well it is mainly because I have used DMC in the past and present and still will use it as always. 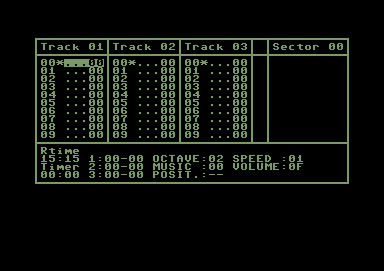 The DMC music composer tool really brings the heart to C64 music. You can compose cool types of style and sounds with DMC's varied sound settings. 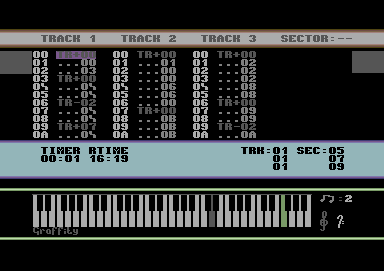 Plus it is also to bring back the kind of traditional style of C64 music. Using a C64 program instead of a cross platform music composer. :o) DMC has always been part of my pride of composing music on the C64. I've always loved it. Or any other music creator which is not DMC. As we now accept non DMC entries. or which other DMC music creator (The higher version the better) you can find to arrange and compose your masterpiece. You will have until 30th April 2007 to arrange and compose your track. It can be anything from C64 old school jazz to c64 techno/trance or if you wanted, death metal YEAAAAAH!. Chose your style and enjoy composing. You are NOT allowed to compose any cover tunes. Do NOT mix other people's demo tunes and call it your own. The playing time of your tune does not matter at all although we will appreciate that your entry is at the most 5:00 minutes long and at the least 2:00 minutes. Winner will receive a copy of a new unreleased game by TND (Once finished).